Posted: Monday, October 17, 2016. 6:00 am CST. By BBN Staff: A road traffic accident was reported in Ladyville at around 8:30 last night. A motorcycle carrying two persons collided head on into a taxi that was about to make its way onto the highway. 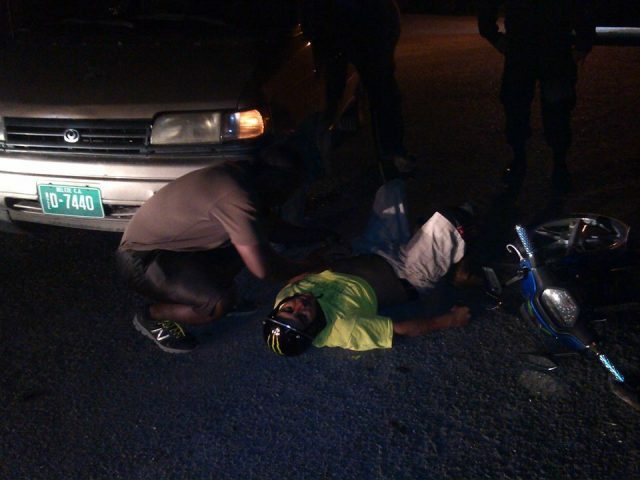 The incident occurred in front of the Shell gas station. The nature of the injuries of the persons involved are at this time unknown. BBN will update this story when more details are made available to us.